The paleo sandwich bread so many of you have requested is finally here! I’ve been working on this bread on and off for the past month and the most recent loaf finally satisfied my craving for soft, fluffy “white” sandwich bread that’s perfect for everything from BLT’s to almond butter & jelly to bacon egg breakfast sandwiches. It wasn’t the easiest road to get to the final loaf, though, I had several fails and disappointments over the past few weeks. 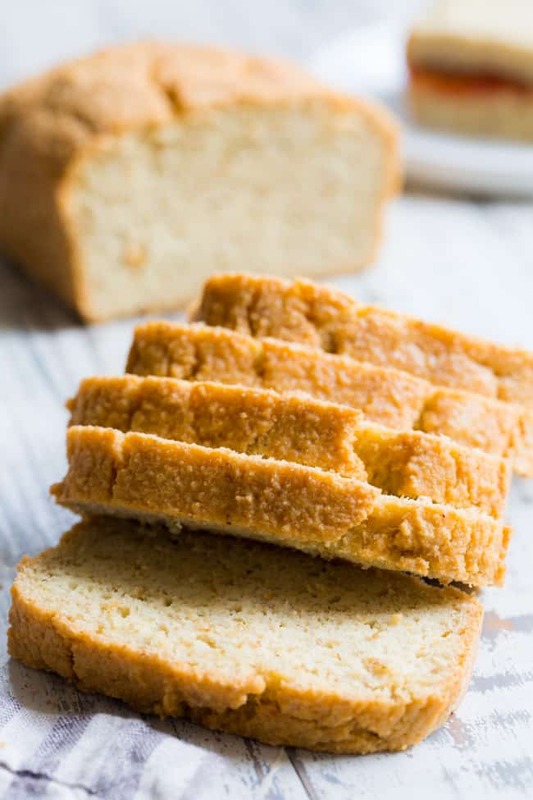 Too moist, too crumbly, not enough rise, too dense – you name it – pretty much every baking issue was experienced with this loaf of paleo bread! 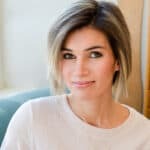 Of course, it’s all a learning experience that I’ve come to value because it teaches me over and over again about grain free and paleo baking – specifically, how the flours work and don’t work! My first loaf was all wrong – too moist, dense, and “eggy” to call it a sandwich bread, and, honestly I wound up tossing the whole thing. From there, I made a few changes that led to much improvement. 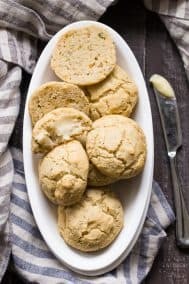 I increased the almond flour and tapioca flour, replaced an egg with an egg white and used homemade paleo baking powder along with baking soda for the rise. The bread rose so much better, but in my opinion it was still too dense and moist to really function as a sandwich bread, plus it didn’t have the stretchy, bendy quality needed for a good sandwich. To remedy this, I replaced another egg with a egg white, added more tapioca, AND a Tbsp more coconut flour – a mistake in hindsight! For those of you unfamiliar with coconut flour, it’s VERY dense and can create a dry, crumbly texture if too much is added and/or if there isn’t enough liquid/eggs to balance it. My third loaf was pretty good but also crumbled too much for my liking. I was SO close though, so of course I had to make at least one more loaf to try to get it right! Ultimately, it was the fifth loaf that finally felt right to me. The rise was good, the texture just perfect for sandwiches – light, fluffy, and “bendy” enough to stand up to spreading, cutting, holding, etc. You know, all the things you need to do when you’re making and eating a sandwich! Now, since we’re still dealing with a grain free paleo bread, it isn’t exactly like a loaf of wonder bread, of course. I only say that so you have realistic expectations and aren’t expecting magic here, but rather grain free baking science at its best! 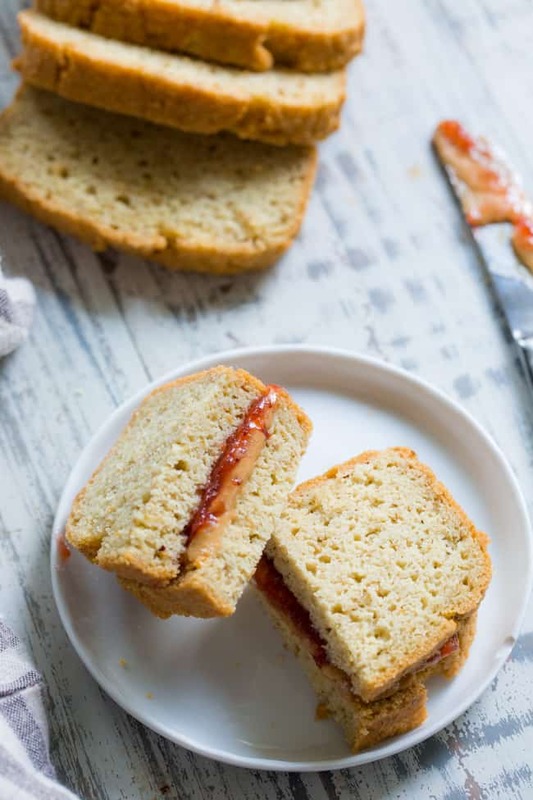 Compared to a traditional sandwich bread made with white flour and yeast, this paleo sandwich bread is still more dense, less fluffy, and has less stretch. This is simply the reality of paleo baking due to the ingredients we’re using that come entirely from real foods. However, this paleo sandwich bread also happens tome delicious both in flavor and texture, toasts well, stores well and freezes well too. It’s completely free of gluten, grains, dairy, sugar, soy, and it’s seriously easy to make, with a prep time of just 10 minutes! 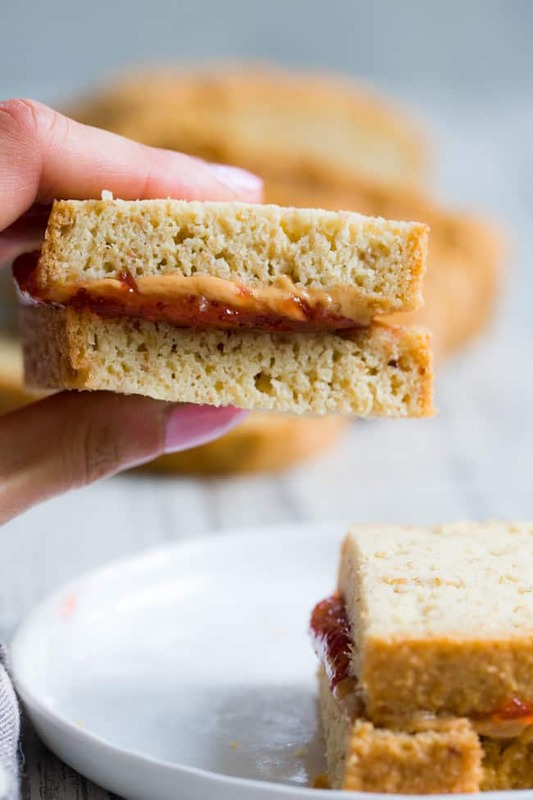 For the photos here I made a simple almond butter and jelly sandwich, but I’ve since used it for breakfast sandwiches and with cold cuts for the kids. It’s a good versatile bread that you can spread anything on, toast and dip in your eggs, or even make French toast with! If you’ve been searching for a good simple paleo bread, you’re going to love this recipe! I hope you’re all ready to get started because I am FOR SURE starting to crave a sandwich now – let’s GO! 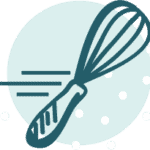 *To make paleo-friendly (corn free) baking powder, mix 1 tsp baking soda with 2 tsp cream of tartar. For this recipe, you will need just 1 1/2 tsp total of this mixture. I’d like to make bread using the pulp left from making almond milk. 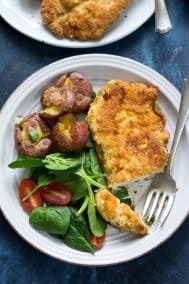 Could I substitute the pulp for the almond flour if I leave out a wet ingredient? Maybe the almond milk could be eliminated? Did you try this? I am curious how it turned out if you did. A lot of things are removed from the almond when you make milk that could alter the breads outcome, so I wouldn’t normally try this. I dry my pulp and use for nonbanking purposes like chicken tenders. Is the nutritional information for one slice or two? And I am guessing it is with cutting the loaf into 14 slices? Thanks! I look forward to making this bread! This looks so good. I️ am doing keto and wondering if I️ can use xanthum or psyllium instead of arrowroot to reduce net carbs. Can I substitute regular ground flax seed for ‘golden’ flax seed? not sure what the difference is. thx! I do it all the time , golden flax seed allows for a lighter color so more for the appearance , regular flax seed is just darker in color but taste wise they are the same! I can’t wait to try this. I have tried several GF bread recipes for my daughter recently but haven’t found one that meets her approval yet. So I am hopeful as ALL your recipes I have tried so far have been amazing! This bread is delicious! However mine didn’t rise all the way to sandwich height? I can’t use anything with almonds. What could I substitute for that? Thanks. Would you use this recipe in a bread machine? What is the vinegar for? Flavor, texture, or what? I can’t have chicken eggs. I have to eat duck eggs. They are larger than chicken eggs. Have you tried using duck eggs for this bread? 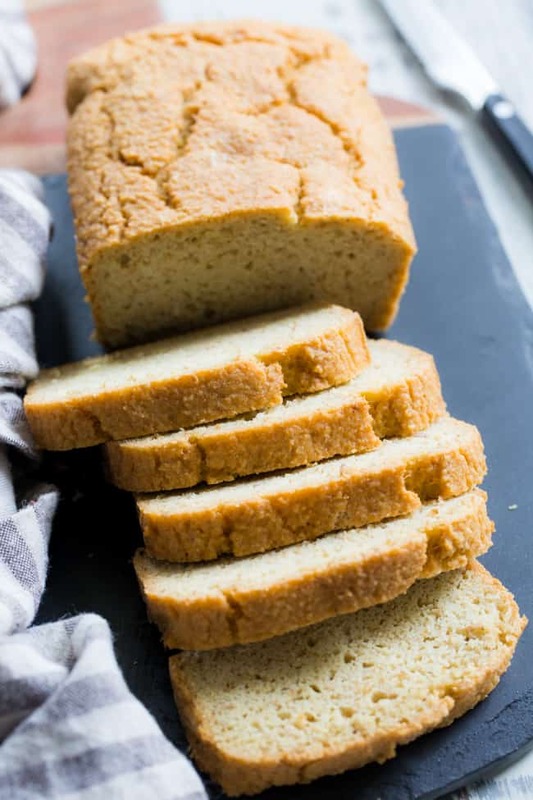 I baked this paleo sandwich bread and I really like it.I didn’t change anything, followed the recipe exactly as it is written.Bread came out just perfect and did rise all the way to sandwich size…so happy, thank you for great recipe! Great that the recipe came out well for you! I have a question about the coconut oil. In my pantry, the coconut oil is hard like wax. The instructions say to melt and cool 1/4 cup of refined coconut oil. What consistency / general temperature should the coconut oil be when I mix it in with the other wet ingredients? I made this bread this morning and it turned out great! So happy with the results. I made the recipe exactly as it was written. It did rise but not sure if I can say it rose to “sandwich height” but happy with how it turned out. Michelle, your recipes are absolutely amazing. 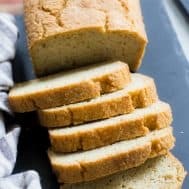 This is with out a doubt the best Paleo bread recipe I have tried and it is my go to recipe for bread. Thanks for all the recipes you post, they are great! I made this bread exactly as written but the dough was not like a “thick sticky dough” it was kind of thick and it was sticky. What should I add if this does not come out thick enough? More almond flour, tapioca flour or coconut flour and how much? My husband said this recipe was the best bread I’ve made so far! We love it. Thanks!! You can try adding a bit more almond flour, adding more coconut is not a good idea (dry and crumbly) and the tapioca may make it too spongy. I followed the recipe as is. No coconut flavor and does not have an eggy taste like so many other paleo breads i have tried. I was worried as it did smell eggy while it was baking. This is the BEST PALEO BREAD hands down. The search is over. Dont wait to try it. Mine came out the perfect height. Thank you Michelle!!!!! Never a bad recipe from this blog. I really want to try this recipe, I don’t have golden flax seed or any flax seed. Is this a crucial ingredient or can I substitute with some thing else? How terrible is it if you use regular baking powder. I dont have any cream of tartar and wanted to make today. If you use aluminum free baking powder it’s totally fine. Is there any alternative at all for the flax seed? I made this last night for my white bread loving boyfriend and he crushed two sandwiches back to back. Thank you for another fantastic recipe!! Awesome recipe! I love this bread. It has a great flavor, texture and didn’t take too long to put together. I have already made it twice and plan to make it many more times. My husband who does not have to eat Paleo likes it too. Looks great! Looking forward to try. Do you think it would work as a burger bund also? I have a 7 year old kid and he would be happy to get a burger again but not with mushroom bunds:)). AMAZING!!! It was so easy to make homemade bread and it tasted like regular bread! I’m so excited to try this! Can I sub coconut oil with melted ghee or avacado oil? Yes, both should work well. What a beautiful paleo loaf! 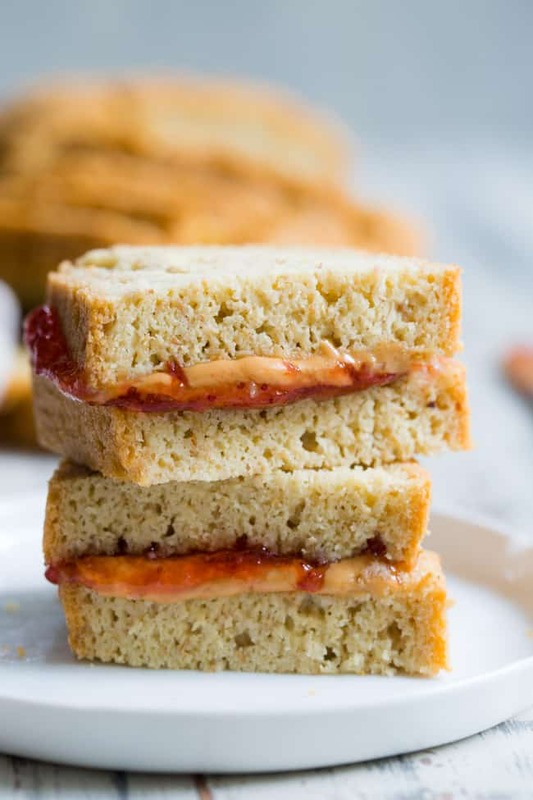 Looks perfect for slicing…that pb&j is calling my name! Would a bread machine work with this recipe? Michele, this is the most delicious bread and can’t believe it’s paleo. So easy to make and keep. After a few days of keeping it out, I cut the rest into slices, put slice sized parchment paper between each one and freeze. I save the parchment for future loaves. Getting ready to make another one. It’s so delicious! Thank you for all your attempts to perfect it. YUM!! Thats’s a great idea to keep it fresh! Glad you’re enjoying it. Call me crazy but I took this recipe, doubled it and baked it in a large bundt pan. Turned out fantastic and, once cooled and sliced, the bread Is the perfect shape and size. I would be baking everyday if I use the tiny 8×4 size pans. With the bundt size, I can freeze portions and have more on hand. Sounds great, I’ll need to try it! I used arrowroot powder as Michelle mentioned as an alternative (I had it on hand) and it works beautifully. This bread is truly delicious! I made this today and wow its so good! My non gluten free hubby approves! I wis I could post a picture because its so pretty! I made this bread over the weekend and I can’t get enough! It is phenominal! I only had a 10” loaf pan so I knew it wouldn’t rise as high, but the taste and texture are spot on! Even my conventional bread loving family has enjoyed it. Yay! Love hearing that, thrilled you enjoyed it! I’m so happy you like it! Finding a good paleo bread is so hard! I’m so thrilled you enjoyed it, sounds wonderful! Yum! This bread is really great. Even my skeptical husband enjoyed it! What can I substitute for the flax seed? I just found out I am food intolerant to flax in any form. Is there a good substitute for it? I’d love to try the recipe. Yes you’re correct – it’s per slice based on 14 slices. My bread rose perfectly, currently waiting for it to cool completely. I’ve been limiting my added salt intake, and this bread tastes way too salty as-is! But other than that, I love it! Thank you! I just started the Paleo diet 10 days ago, so I am so new to the diet. 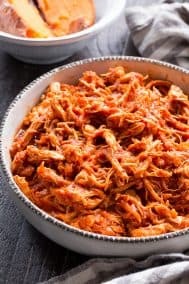 I found I am missing sandwiches the most and plan on trying this recipe but the ingredients are so foreign to me. Where do I find them? I am sure Walmart is not a good source. I imagine I will be the only family member eating it, so was thrilled to find that I can freeze it. 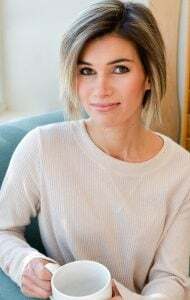 I am diabetic and I found a good book on Paleo for it. Within one week, my blood sugar was normal and I have lost 10 lbs. also. Why do you have eggs in the recipe if its supposed to be DAIRY FREE???? Because eggs are not dairy? Dairy is MILK products like milk, cheese, cream cheese, etc. Eggs may be found in a dairy aisle but eggs are protein, not dairy, as they are simply chicken embryos. 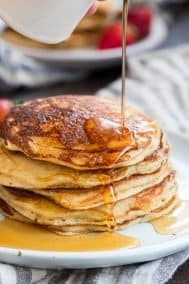 Can I use regular butter and milk in place of almond milk and coconut oil? I am new on paleo, thank you for the recipe. Thanks Michele! I’m going to try it. I have to get some more ingredients first. Maybe try weight lifting for a while. I recommend 5 sets of 15 to 20 reps for each exercise. I think that you will like the sculpting of the muscles. This is the best grain free bread I have ever made! Everyone who tried it likes it too and wants the recipe! I am very happy and satisfied!! I love this recipe, I just tweaked a couple of things to get it how I wanted it. I replaced 1/2 cup of almond flour with an extra 1/2 cup of tapioca starch. I also separated out all but one of the egg whites, and beat them to a soft peak. After mixing the wet ingredients into the dry ingredients, I folded the egg whites in. This helped give it a boost to make it a bit taller and fluffier. The final product was springy and tasty, and better than most gluten free breads I’ve purchased. Is the serving size one slice or two? I am counting carbs so I wanted to double check! Thank you! 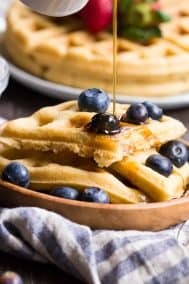 Has anyone tried this recipe with egg whites only? Unfortunately, I have a sensitivity to egg yolks. Thanks in advance! I made it with Egg Replacer since I’m allergic to eggs and it turned out wonderful. I did add a few drops of yellow food dye(which probably isn’t paleo but you have to eat with your eyes too) to make it look close to the look of egg yolks. It was delicious! It didn’t rise as much as the one I made with the egg yolks for a friend, but it was still DIVINE!! Hello! 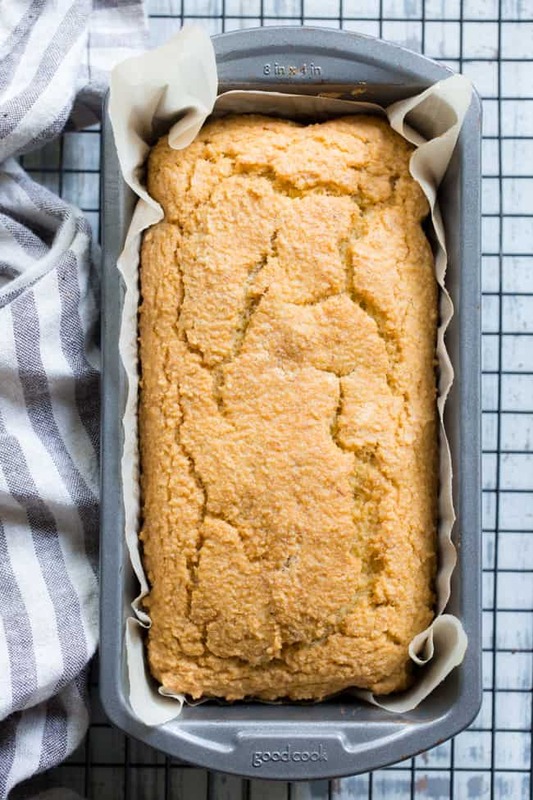 Very eager to try this recipe — Question: If I need to make a bigger loaf, say in the 9×5 pan, what do you suggest I do to the recipe as well as oven baking time? Michele, this bread is amazing! I made it without the golden flax meal because I didn’t have any. I made a loaf with eggs, according to your menu and one without for me since I’m allergic to them. I used Egg Replacement for them. It was the BEST paleo bread. I ordered the Golden Flax Meal on Amazon yesterday and plan to make this again. Thanks so much for sharing! Blessings to you! I’ve been on grain free since chemo (2 years) and sooo hungry for bread. I was thrilled to find this recipe and I am pretty much the happiest person on the planet right now. Ahhhh… bread! Heaven! I just baked this bread, at 45 mins I checked it and it was ready! 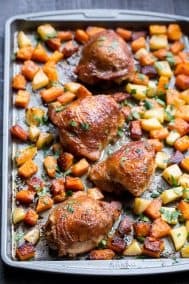 It looks exactly like in rhe picture, i can’t wait to cool it down and try it…looks yummy! Can you make this recipe with regular almond flour (I.e. Blanched)? Hey Michele, thank you for the recipe, looks great! I’m planning on making it this weekend. Could I prepare the dough ahead of time, leave in the fridge overnight (just one night) and bake it first thing? 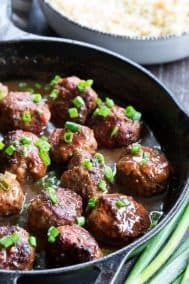 I tried other recipes, but this is the one that stopped my search. It’s definitely in my favorites now. I even made French toast out of it. Thank you Michele! The best paleo bread I have done. Is tasty, fluffy and great for sandwishes or toasts. Delicious! Thanks for the recipe! Loved this bread! It did not crumble and was very moist. I used it all week for my sandwiches and plan to make it again for next week. So nice to have a great, easy, homemade bread that tastes good. can you use baking powder with aluminum in it or will it change the recipe? very curious and eager to make this bread ASAP! Great recipe. Can you substitute the golden flax seed meal with psyllium husk powder? If yes does this mean I increase the liquid amount too? Thanks! Hands down the best paleo sandwich bread recipe ever!!! Thank you for bringing bread back into my life! I have so many food sensitivities that enjoying grains for the last 3 yrs has been a challenge. I appreciate you & your recipes!! I want to make this bread for my sweetheart, but I was wondering how whisked the eggs and egg whites need to be? Love this recipe! This is the best paleo bread that I’ve tried so far. I didn’t have flax, so I replaced it for ground chia and it worked great. This bread is dense but moist, and not eggy tasting like some of the other paleo breads I’ve tried! This recipe sounds really yummy. Do i need to whip the egg whites stiff and fold into the mix? There was a reply earlier in the messages about whipping the whites to soft peaks. I have yet to try that myself. This bread blew my mind! So good!! Thank you Michelle. Is it still safe to eat? I’d already eaten a slice with a pat of grass-fed butter before I realized, but if it’s not safe I guess I’d throw it out. HELP! Actually – just called Reynolds and they said it’s ok. Whew! Thought I was going to have to throw out a perfectly yummy loaf of bread! This is the best paleo bread I have ever made. Followed directions exactly except added chia seeds. Probably would add some walnuts next time. Cuts nicely, and perfect for sandwiches or toast. Some paleo or non gluten bread tastes like sand. This is just like bread!! I have a challenge for you or anyone who knows more about making bread than I. Which is probably most of you. I recently found out I have developed food allergies later in life- wheat, egg whites, peanut and sesame seeds. This recipe by far seems to be what I need and can eat- except for the eggs. What can I use to replace eggs and still have a good tasting bread? I’ve made this loaf no less than a dozen times since I discovered the recipe a few months ago, and it has changed the whole game in our house. 5 years Paleo and this is the first time I’ve seen a recipe for bread that actually turns out a result that resembles the real stuff! THANK YOU for this, and for all the other lovely paleorunningmomma recipes that are now part of our daily lives. Truly very impressive bake master, Michele, please keep on keeping on! It’s hard to know since I’m not in the kitchen with you unfortunately. I’m thinking it has to either be a problem with the baking soda interacting with the acid, or an over measurement of one of the flours/undermeasurement of liquid. I’ll start by saying I’m not on the Paleo diet, nor am I trying to go that way. I tried this recipe because I was looking for a low-carb bread that was still usable as bread (sandwiches, toast…). I have gestational diabetes and watching my simple carb intake has been HARD. 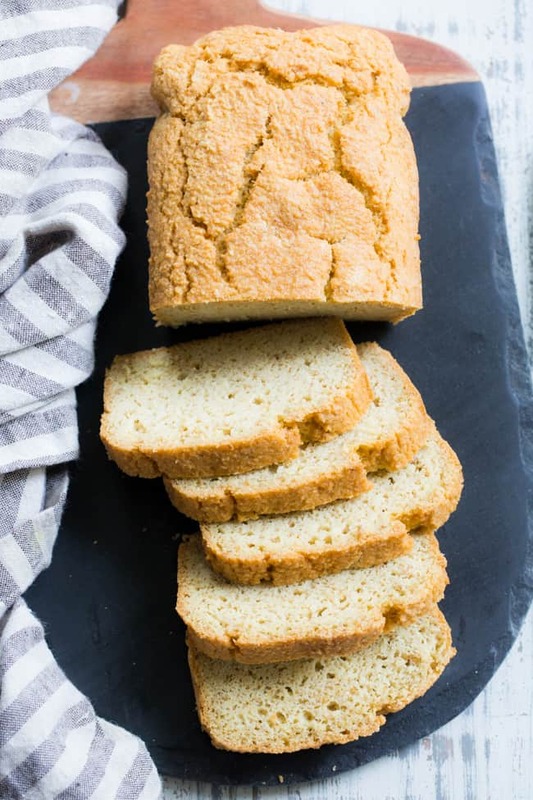 This bread is not only delicious and low-carb but also has protein. I will continue making this bread, possibly even after I no longer have gestational diabetes! 1/2 CUP of Tapioca Four?!! Yikes! That is over 40g of Carbs…. I Paleo and Keto Bake too, but always use Arrowroot and Tapioca Flour (Starch) … by the Tbsp. A great alternative for a thickener / binder is Tbsp of Psyllium Husk which has carbs but they are reduced to almost no net carbs due to it being all fiber. Just a tip! Love your Baking! 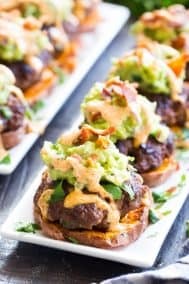 I recently found this recipe of which I have been searching for quite awhile. I finally made it last night. The only thing I need to ask you about is:….is it at all possible to add something to cause it to rise a bit above the bread pan, so it would be more of the size of a normal loaf of bread? Each slice of this 🍞 is equal to a half slice of regular bread. Sorry, I forgot to leave 5 stars rating your bread! It’s perfect EXCEPT for its size. Made 2 loaves exactly as written and it is delicious. My Paleo husband is so happy. I’m T1 diabetic and this bread has virtually no impact on my blood sugar. Thank you! I can not have gluten, so I made this. I thought it was going to be good, but after I tried it I could hardly contain myself. It is AMAZING! It is SO easy! I am only 9 and I can do it! I can do it, so ANYONE can do it. I made it all by myself! I love to cook. I can’t explain how much I love this bread! I recommend you make your bread instead of buying it! This is amazing! It’s even better when you dip in olive oil, Italian seasoning, and a crack of salt and pepper! DO IT! What would be a suitable substitute for tapioca or arrowroot flour? These flours are not available where I live. Maybe I can use psylum husk instead? This bread is better than any $8 loaf that I have purchased from paleo bakeries. This is now my go to recipe! This my frist time trying one of your recipes. I am already preparing to try the buns ASAP. Thank you. A lot of time and energy goes into creating these recipes and I’m appreciative of your effort.